The second oldest concrete bridge in Finland, built in 1912 and named humorously as Savisilta (clay bridge) is located in Ylivieska. Ylivieska is a town and municipality of Northern Ostrobothnia region, Finland. It has a population of 15,219 (31 January 2019), and it serves as the administrative centre for Kalajokilaakso and Pyhäjokilaakso, an area with about 90,000 inhabitants. Ylivieska is also the commercial center of the Oulu South region, the southern part of the late Oulu province. 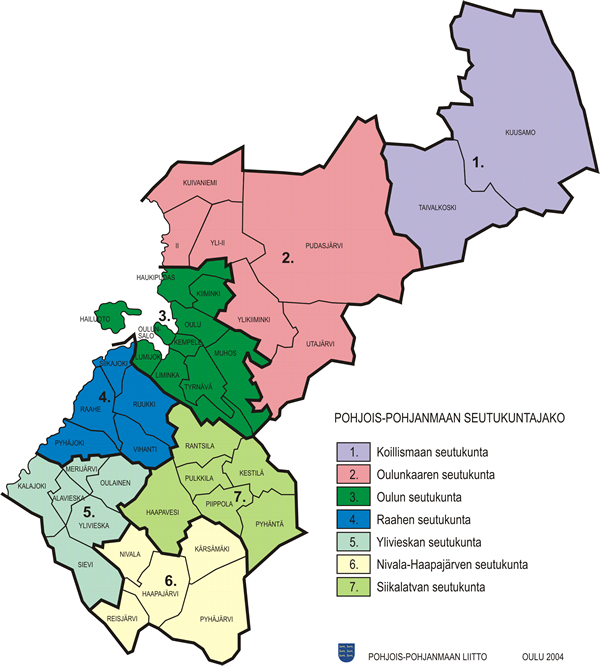 The closest cities near Ylivieska are Oulu (130 km or 81 mi), Vaasa (200 km or 120 mi) and Kokkola (79 km or 49 mi), the neighbouring municipalities are Oulainen, Haapavesi, Nivala, Sievi, Kalajoki, Alavieska and Merijärvi. Ylivieska is located in Northern Ostrobothnia about 130 kilometres (80 mi) south of the city of Oulu. The town is characterized by the Kalajoki River, which runs SE–NW through the town centre. The agricultural and economical area of the Kalajoki river basin is known as Kalajokilaakso. Ylivieska is situated along the Ostrobothnia railway, which leads from Helsinki, the national capital, to Rovaniemi in the north of the country. The railway was opened in 1886 and it has had a significant role in the town's economical development. Agriculture and animal husbandry, mainly milking cows, used to be the main sources of livelihood in Ylivieska. In recent decades, the role of agriculture has reduced following the development of industry and services. Currently, Ylivieska is home to about 30 industrial enterprises, some of which are also internationally recognized in their respective niche markets. Regionally, Ylivieska has become an important place for car buyers. There are several stores and agents selling new and used cars, and purchases average about 6,000 cars per year. Thus, the local car sales entrepreneurs have created the concept of Ylivieska being the "Autolaakso" or "car valley" of the Kalajokilaakso and neighbouring regions. The Home Region Museum of Ylivieska features traditional countryside lifestyle, some old buildings, and as a curiosity, a 700-piece collection of milk jugs, with jugs from 15 countries. Kyösti Kallio (1873–1940), the 4th President of Finland, was born in Ylivieska. The specialty foods of Ylivieska are maitorieska, a simple but tasty flat bread made of barley flour, milk and salt, and pepu, which only has the same ingredients as the maitorieska, but instead of being formed into flat breads and baked, pepu is boiled and pan fried. At the neighbouring municipality Sievi, a specialty food is mutti, which is actually unfried pepu. Ylivieska is the home of a spreading agricultural technology called moist grain crimping, developed in the late 1960s by two local brothers. Its church burned down on 26 March 2016. This page was last edited on 26 November 2018, at 16:21 (UTC).